The Anglican Way covers a broad sweep of life without sacrificing the depth that should naturally come with a book about Christian living (though, tragically, all too often does not). Are there books that cover more Anglican history and theology? Yes. Are there books that include more Anglican prayers and liturgy? Of course. Are there books that more completely discuss the particularities and intricacies of the Anglican tradition? Perhaps (though not many). But is there any book anywhere that covers all of these things -- Anglican history, theology, distinctives, prayers and liturgies, and many other aspects of the balance and complexities of the Anglican Way -- all in one winsome, personal, and very practical volume? I feel sure in saying that there is not. The Anglican Way is a book born of passion and a lifetime of devotion. McKenzie is obviously both highly knowledgable of, and deeply committed to his subject matter. Other traditions would do well to have such a voice. Regardless of one's background or denominational affiliation, there is much here that is instructional...and inspirational. Lent is a desert. We enter this wilderness once a year, seeking the God who dwells in dry, silent places. In this little book, Thomas McKenzie, a Benedictine oblate and Anglican priest, guides you through Lent. Day by day, you’ll hear from the Desert Fathers, masters of Lenten spirituality. Through Fr. Thomas’ personal reflections on their words, you’ll be challenged to walk in trust down this ancient path. 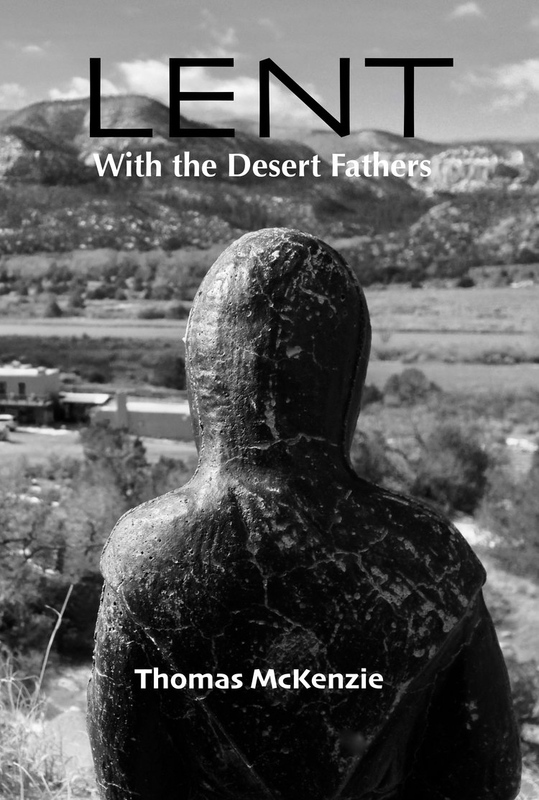 Lent with the Desert Fathers is available on Amazon, in paperback or ebook. Benedictine monks and nuns pray the psalms seven times a day, seven days a week. Every week they pray each of the psalms at least once. They do this because St. Benedict required this in his Rule. More importantly, they do it because the psalms are the prayer book of the Church, because they were the prayer book of Jesus. Praying the psalms is a transformative experience. For many years, I looked for a simple prayer book of the psalms. I wanted a way to pray along with the monks. Not that I think I can always devote that much time to daily prayer (though I’d like to). Rather, because I’d like to make the psalms more central to my life of prayer and meditation. However, I was frustrated because I couldn’t find the book I needed. So I decided to make one for myself. The project was more involved than I thought it would be. Towards the end of my work, I realized that there might be other people who would benefit from this prayer book. So I’ve made it available to the world. I am not the author of this book (that would be King David). I’m not even the one who decided what it would contain. I’m merely the person who laid it out. This really is just the psalms, along with a very few canticles, prayers, and ancient hymns. I chose to use the translations found in the Book of Common Prayer (1979). These translations are in modern language and are designed to be said or sung aloud. You can view or download a sample of this book here. 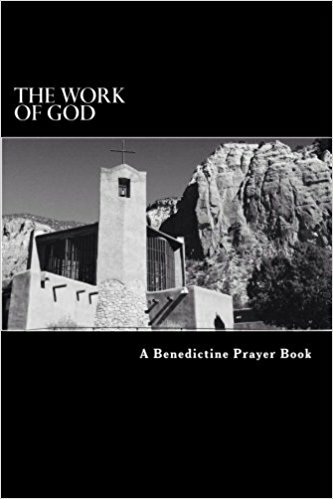 If you’d like to order a copy of “The Work of God,” it’s now available on Amazon in both paperback and Kindle. I hope it will be a blessing to your life of prayer. The Harpooner guides you through the holy season of Advent. Short Bible readings, traditional prayers, and a brief homily will help keep you focused on the goodness of God this December. There’s a short chapter for each day of the month. It’s best to read one chapter a day. If you skip a day, don’t feel the need to go back. Have some grace with yourself. Each chapter begins with the Prayer of the Day, which comes from the Anglican Church. Start by praying that prayer, either silently or aloud. Next, read the scripture for the day. Spend a few moments in silence before you move on. After the scripture reading is the homily. This is a personal reflection meant to help you know the Lord a bit better. Following the homily is a psalm, or part of a psalm, chosen to go along with the homily and scripture. You may want to finish your time with the Lord’s Prayer, or a short period of silence, or a time of personal prayer. You can purchase the Harpooner in paperback or eBook form, on this website, or on Amazon.com. You can purchase copies of this book on Amazon.